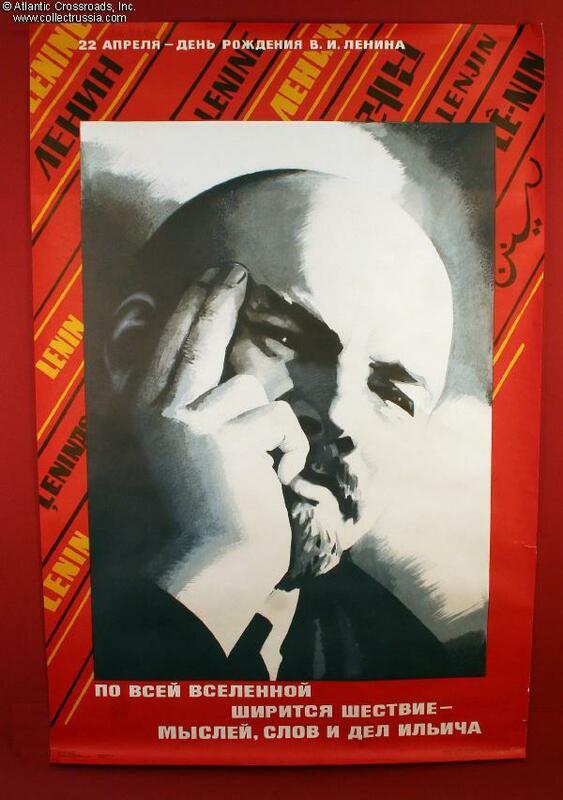 Thoughtful, dream-like Lenin features on a 22 April 115th birthday poster. 25 1/2" x 38". 1985. "The thoughts, words and deeds of Ilyich spread over the universe." Note the spelling of his name in other, non-Cyrillic alphabets in the borders. Lenin as dreamy visionary. "Alternate spellings" of Lenin serve to underline his universal appeal.